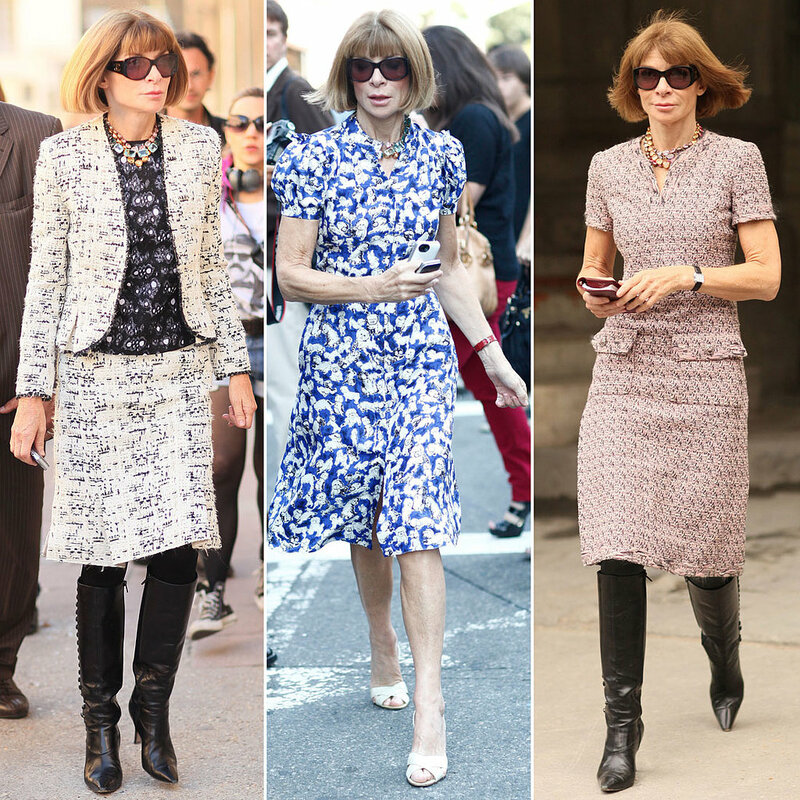 Anna Wintour is the English editor-in-chief of American Vogue, a position she has held since 1988. In 2013, she became artistic director for Condé Nast, Vogue‘s publisher. With her trademark pageboy bob haircut and sunglasses, Wintour has become an important figure in much of the fashion world, widely praised for her eye for fashion trends and her support for younger designers. Her reportedly aloof and demanding personality has earned her the nickname “Nuclear Wintour”, spoofing on the rather more serious phenomenon of nuclear winter. A former personal assistant, Lauren Weisberger, wrote the 2003 best selling roman à clef The Devil Wears Prada, later made into a successful film starring Meryl Streep as Miranda Priestly, a fashion editor, believed to be based on Wintour. In 2009, she was the focus of another film, R.J. Cutler’s documentary The September Issue. Through the years, she has come to be regarded as one of the most powerful people in fashion, setting trends, and anointing new designers. Industry publicists often hear “Do you want me to go to Anna with this?” when they have differences with her subordinates. The Guardian has called her the “unofficial mayoress” of New York City. She has encouraged fashion houses such as Christian Dior to hire younger, fresher designers such as John Galliano. Her influence extends outside fashion. She persuaded Donald Trump to let Marc Jacobs use a ballroom at the Plaza Hotel for a show when Jacobs and his partner were short of cash. More recently, she persuaded Brooks Brothers to hire the relatively unknown Thom Browne. A protégée at Vogue, Plum Sykes, became a successful novelist, drawing her settings from New York’s fashionable elite. Her salary was reported to be $2 million a year in 2005. In addition, she receives several perks, such as a chauffeured Mercedes S-Class (both in New York and abroad), a $200,000 shopping allowance, and the Coco Chanel Suite at the Hotel Ritz Paris while attending European fashion shows. Condé Nast president S. I. Newhouse also had the company make her an interest-free $1.6 million loan to purchase her townhouse in Greenwich Village. 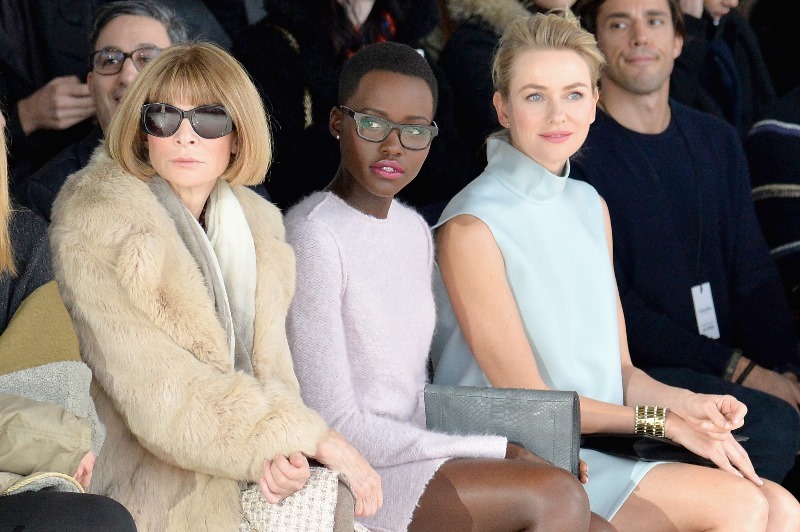 Anna Wintour we crown you queen of fashion!